I did this built as an homage to the beautiful Banpresto arcade game, modifying a comercial set, all and all I like the retro gaming nostalgic vibe. Hi guys ! 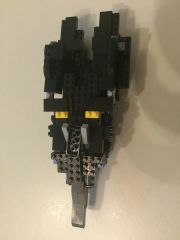 So after finishing the SDF-1 I thought that something was missing. Of course the SDf-1 can't be without it's squadron of valks. 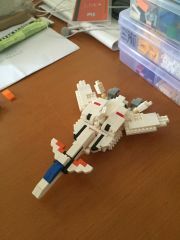 I loaded up Lego Digital Designer and started on working on Hikaru's VF-1A from DYRL. 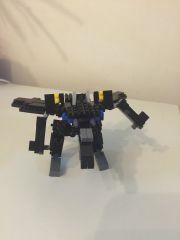 I didn't want to spend all that much time, so I decided that I'd only build it in battroid mode, no transformation. 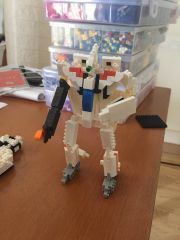 Finished product sports approx 1030 bricks, a lot less than the 11.000 brick heavy SDF-1. Now it's time to start the actual build. I was thinking about the Spartas (RT: Dana Sterling's Hovertank) recently. 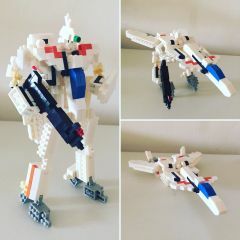 It's the one Matchbox Robotech toy that eludes me mostly because I'm too cheap to cough up the $100+ for the ones that languish on eBay. But I have a ton of LEGO thanks to my wife who years ago robbed some teens blind at a garage sale. 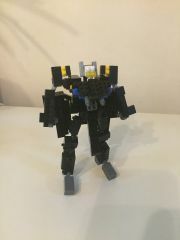 I decided to give this a try knowing that it's transformation is really one of the easier ones out there for transforming mech. 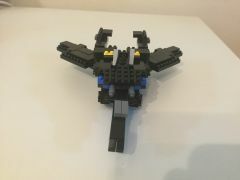 This is my version 1, took me roughly 8 hours of dedicated work. 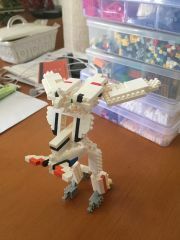 It helps that I've had practice trying to build LEGO mechs with the standard system, bionicle, and the newer hero factory lines. https://www.flickr.com/photos/18239022@N00/22445795997/in/dateposted-public/ I posed it next to a Matchbox Bioroid for reference. Sadly the Matchbox Southern Cross toys are way out of scale with each other. My transformation is not completely accurate. The curvy part, or hood of the tank, should actually hang down like a skirt from the waist in battroid mode. 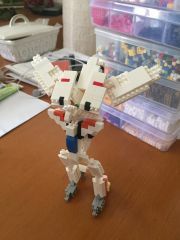 I might try to fix it, but really I'm more eager to the bottom of the legs in white, so I'll probably be placing a Bricklink order soon. 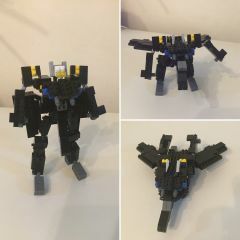 I taken at least one serious stab at getting a decent looking Orgoid put together in LEGO, but I was never happy with the results. The orgroid is a challenge because of all the organic looking curves it uses. 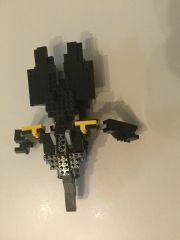 While it's transformation is very Valkyrie like, it's easier to pull off if you have wide variety of Bionicle parts. 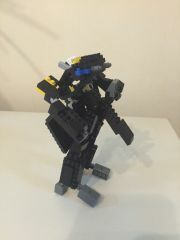 Getting the look to come out right is the bigger challenge because Bionicle parts just really don't want to be combined with the classic LEGO system parts. Anyways here is the result of a few hours work, taking what I've learned from my previous attempt. I still need to come up with a head and figure out how to do the backpack hinge. Mazinger posted a topic in The Workshop! 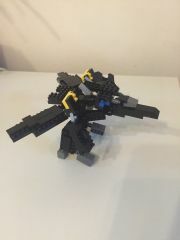 "This is my LEGO Valkyrie. 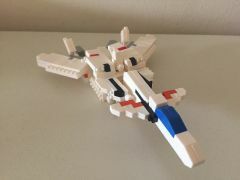 There are many like it, but this one is mine..." The design is actually by a member of the Lego User Group of Los Angeles, Daikon Cat: http://www.daikoncat.com/macross-vf-1a-valkyrie.html I've taken some liberties mostly do to lack of correct parts often due to the wrong color. I thought the bionicle hands were fine and very evocative of the chunky monkeys, so I decided against building articulated hands.